Bruno Taut was born on May 4, 1880, in Konigsberg, Germany. He attended the Konigsberg Baugwerksschule and later, trained at the Berlin-Charlottenburge. During his last years as a student, he worked in the studio of the renowned Bruno Mohring in Berlin and later, he began working with Theodor Fischer in Stuttgart. In 1908, he was commissioned for his first major project in Wetter. In 1909, he established his own practice, in collaboration with Frank Hoffman, and soon, he became a much in demand architect. His post-WWI designs and theories established his status as a revolutionary and innovate architect. In 1918, he was appointed the chairman of the Arbeitstrat fur Kunst. The following year, he published “Alpine Architektur”, a book containing his designs and drawings based on an ideological utopia. Taut was a pioneer instigator and advocate of the modern movement of Expressionism, and in 1918, he confounded the Nobembergruppe, widely and popularly known as “Chain of Crystal”, which included prominent and influential architects such as Hermann Finsterlin, Walter Gropius and Hans and Wassili Luckhardt among many others. In 1920, Taut published his Expressionist supplement “Fruhlicht” in collaboration with a Berlin planning magazine. The following year, he was appointed as the city architect for Berlin, and later that year, he began issuing his “Glass Chain” publication. In 1924, he was among the principle architects responsible for the design and construction of all major building plans in Magdeburg, and later, he was appointed the director of buildings at Gehag, the widely influential and strongest building society in Berlin. During this period, he garnered fame for the construction and design for several urban style buildings, such as the neighborhood of Britz in Berlin, and the Bosque of Berlin-Zehlndoff. In 1926, he collaborated with the members of the Werkbund, for the construction of a neighborhood on the outskirts of Weissenhof. During the late 1920s, Taut gained the respect and status of the pioneer instigator of the “New Objective” architecture. In 1929, he published his iconic and influential works, titled “Die New Baukunst in Europa und Amerika” and later, “Der Ring”. In 1930, Taut was commissioned by the Studio Press for a literary publication, he published his book “Modern Architectre”. The same year, he was appointed a Professor at the University of Berlin, he taught there for the next two years. In 1933, Taut decided to leave Germany and he moved to Russia, where he began concentrating on some urban developments. Later, he visited Japan, travelling extensively, and in 1937, he settled in Turkey. He passed away in Istanbul the following year. 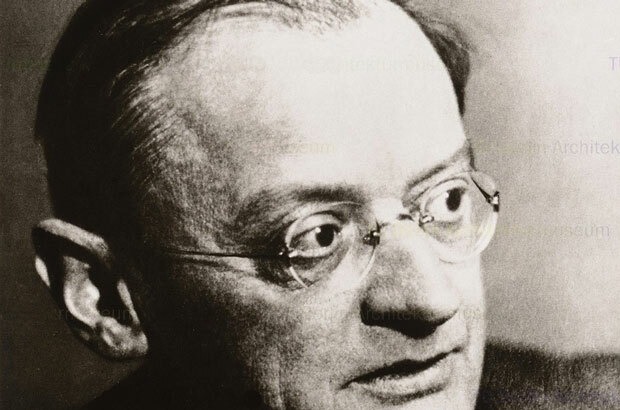 Bruno Taut was one of the most iconic and widely acclaimed architects, ranked among the architectural geniuses Walter Gropius and Mies Van der Rohe, Taut played an extremely vital role in furthering the expressionist movement. He is celebrated for his creative and artistic use of color that gave Berlin an urban and modern look.